Some of our effects include an Animation parameter with a list of presets that customize the speed at which the effect is animated. 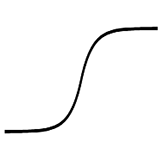 The presets are named after what the function for speed would look like on a graph (where X is time and Y is distance), prefixed with whether the function's curve is affecting the animation's beginning (creating an Ease In effect), end (creating an Ease Out effect), both, or not at all (Linear). Note that 'Step' is skips the animation altogether, going straight from Point A to Point B. 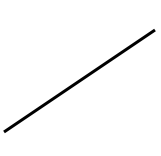 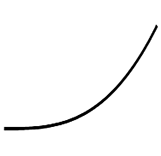 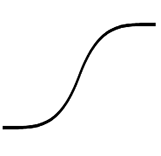 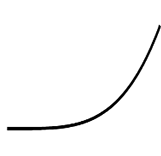 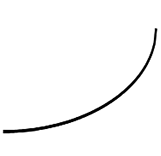 Below are examples of how the different functions' curves appear on a graph for an Ease In effect (Ease Out looks identical, but flipped horizontally). 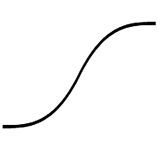 Zero easing on this curve, just a straight shot from start to end of the transition. 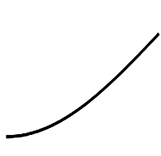 A slight easing into the transition with acceleration picking up afterwards. 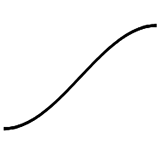 A slower transition that rapidly accelerates toward the end, giving a 'snap' appearance. 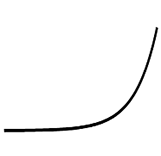 A gradual ease at the beginning an end of the transition. 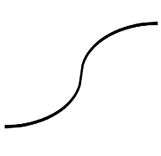 A gradual ease at both ends, with a very fast switch in the middle where curves meet.